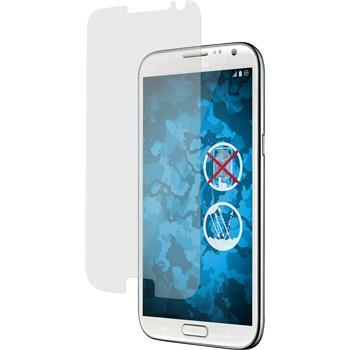 The protective foil for the Samsung Galaxy Note 2 provides almost invisible protection for your smartphone. 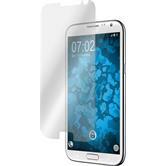 The display presentation will be unaffected in bright light because of the anti-glare foil. The foil is very thin so you will barely notice it on your display. 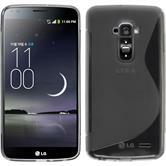 Nevertheless, it protects your Samsung Galaxy Note 2 against scratches and damages on the display. 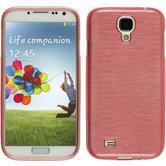 The Samsung Galaxy Note 2 protective foils are manufactured of premium plastics. 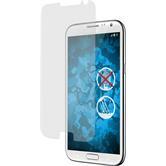 This provides a crystal clear surface and a strong scratch resistance. 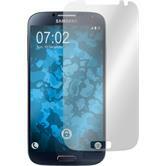 This foil for your Samsung Galaxy Note 2 consists of three layers. Two layers are carrier foils which help mounting the main foil without any blisters. After mounting the foil to your display you are able to remove the foil without any traces because there are no aggressive adhesives used.